Ok, so I admit it. Geoff and I watch a lot of Bones. A lot. But when this popped up in my inbox the other day even we were… confused. Leave it to Fab.com to send me something like this and think that it is normal. Normal for a serial killer, maybe. “taboo element of pseudo cannibalism plays with the naughty indulgence of eating sweets” What does that even mean???? One thing is for sure, I am never going to a dinner party at that woman’s house. Also? Who buys out the white chocolate first? 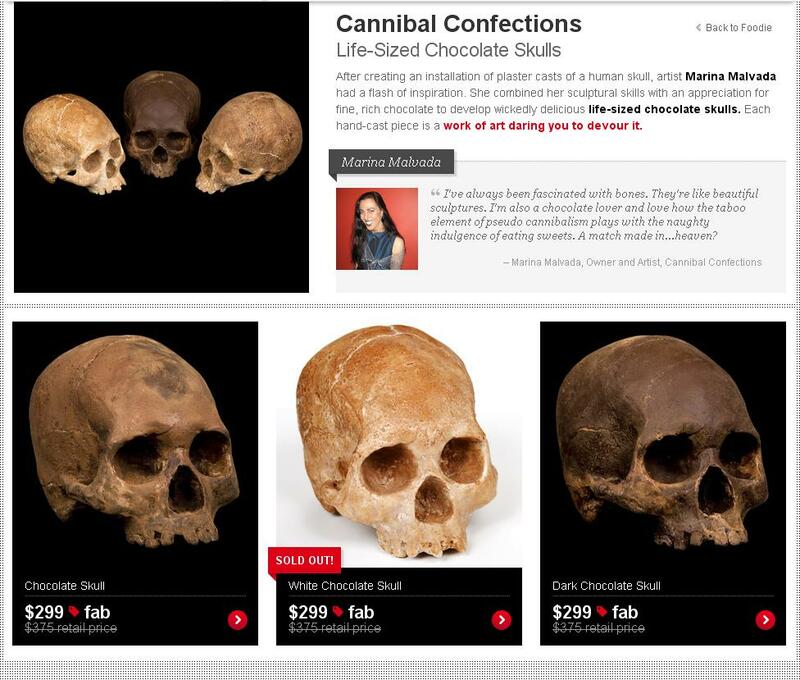 I mean, really, it isn’t even actual chocolate. Puh-lease.